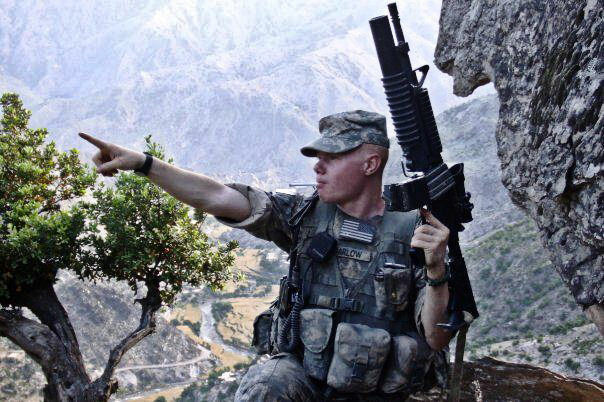 For our sixteenth installment let's take a look the most common Gunfire Locators used in the War in Afghanistan. Gunfire Locators detect and convey the location of gunfire or other weapon fire using acoustic, optical, or other types of sensors, as well as a combination of the previously mentioned sensors. The military uses these systems to identify the source and, in some cases, the direction of gunfire and/or the type of weapon fired. These systems can be useful when under ambush, or when taking sniper fire from an unknown location. Also, some military vehicles are loud, and soldiers in the interior of the vehicle may not be able to hear gunshots that are coming from further away; these systems can alert them to the fact that they are being shot at, allowing them to react appropriately. Boomerang is a gunfire locator developed by DARPA and BBN Technologies primarily for use against snipers. Boomerang is mounted on mobile vehicles such as the Humvee, Stryker, and MRAP combat vehicles. There were plans to integrate it into the Land Warrior system. Boomerang grew out of a program conceived by the U.S. Department of Defense in late 2003, months after the traditional combat phase of the Iraq War had ended on 1 May, at a time when it was clear that U.S. troops were increasingly at risk from a growing and aggressive insurgency. 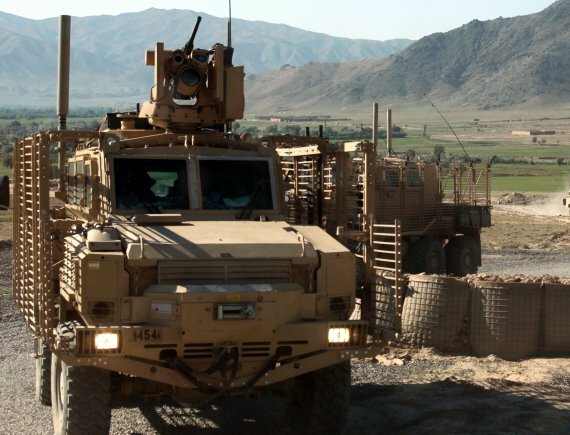 Often, troops in noisy Humvees did not know they were being shot at until someone was hit. U.S. Defense Secretary Donald Rumsfeld approached DARPA and asked for near-term solutions that could be applied to the conflict in Iraq. Rumsfeld was looking for something that did not have to be a perfect solution, but was at least better than nothing. The U.S. Army and Special Operations Command began using a limited number of French-made PILAR anti-sniper systems in 2003. DARPA developed an American system. Karen Wood, a program manager at DARPA, said BBN's previous work was the most impressive that was examined. BBN had previously developed a less sophisticated counter sniper system named "Bullet Ears" under DARPA sponsorship in 1997. The first prototype was developed in 65 days. Challenges that it faced were filtering out noise from the vehicle on which it is mounted (such as loud engines and static sounds from the radio), ignoring sounds similar to that of a gunshot (such as fireworks or a car back-firing), factoring in bullet ricochets, and ignoring outgoing fire from friendly troops. Small quantities of Boomerang were battle tested in Iraq and further improvements led to 2nd and 3rd generation versions called the Boomerang II and Boomerang III. In June 2008 a $73.8 million firm fixed price contract was awarded by the U.S. Army to BBN for 8,131 Boomerang Systems, spares and training services. In 2005 Boomerang won both the DARPA "Significant Technical Achievement Award" and the Massachusetts Innovation and Technology Exchange (MITX) "Technology Influencer of the Year Award." Boomerang does not claim to be able to detect shots fired from firearms with sound suppressors. The Boomerang unit attaches on a mast to the rear of a vehicle and uses an array of seven small microphone sensors. The sensors detect and measure both the muzzle blast and the supersonic shock wave from a supersonic bullet traveling through the air (and so is ineffective against sub-sonic ammunition). Each microphone detects the sound at slightly different times. Boomerang then uses sophisticated algorithms to compute the direction a bullet is coming from, distance above the ground and range to the shooter in less than one second. Users receive simultaneous visual and auditory information on the point of fire from an LED 12-hour clock image display panel and speaker mounted inside the vehicle. For example, if someone is firing from the rear, the system announces "Shot, 6 o'clock", an LED illuminates at the 6 o'clock position, and the computer tells the user the shooter's range, elevation and azimuth. Boomerang works in extreme weather, in open field and in urban environments, whether static or moving. BBN states that false shot detections are less than one per thousand hours of system operation at vehicle speeds under 50 miles per hour. The Individual Gunshot Detector is similar in principle to the Boomerang System. It is worn on the shoulder of the individual soldier, and provides the soldier with the approximate direction and distance from which they are taking enemy fire. 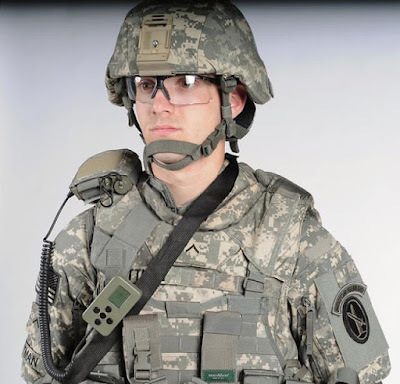 The Individual Gunshot Detector, or IGD - made by QinetiQ North America - consists of four small acoustic sensors worn by the individual Soldier and a small display screen attached to body armor that shows the distance and direction of incoming fire. The entire IGD system, procured by PEO Soldier and the Army's Rapid Equipping Force, weighs less than two pounds. For our fifteenth installment let's take a look the most common Remotely Operated Weapon Station used in the War in Afghanistan. The Common Remotely Operated Weapon Station (CROWS) is a United States military term for remote weapon station systems for use mostly within armoured vehicles. The US military has fielded both the M101 CROWS and M153 CROWS II systems. The CROWS system provides an operator with the ability to acquire and engage targets while inside a vehicle, protected by its armor. It is designed to mount on a variety of vehicle platforms and supports the Mk 19 grenade launcher, M2 .50 Caliber Machine Gun, M240B Machine Gun, and M249 Squad Automatic Weapon. The system is composed of two parts: the mount which is fixed to the exterior of the vehicle and the control group. The mount is capable of 360-degree rotation and −20 to +60-degree elevation and is gyro-stabilized. The sight package includes a daylight video camera, a thermal camera and an eye-safe laser rangefinder. It is also furnished with a fully integrated fire control system that provides ballistic correction. The weight of the weapon station varies accordingly due to different armament modules: 163 lb light, 298 lb standard (including the naval version), and 379 lb for CROWS II. The control group mounts inside the vehicle (behind the driver's seat on the Humvee). 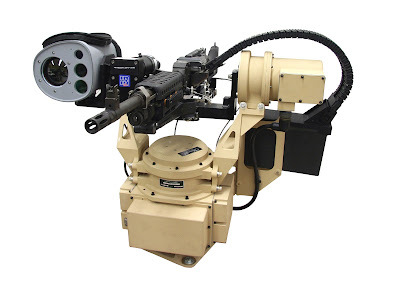 It includes a display, switches and joystick to provide full remote control of the weapon system. This enables the fighting crew to operate from inside armored combat vehicles, while still maintaining the ability to acquire and engage targets. 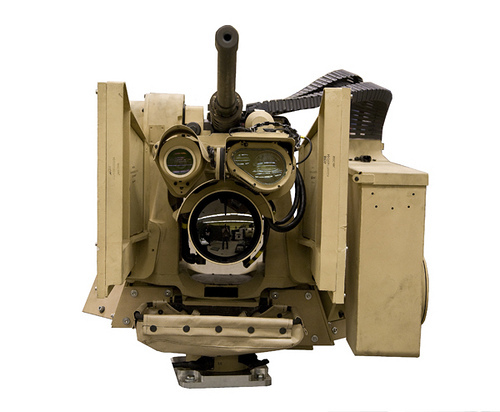 Its camera systems can identify targets out to 1,500 meters away, and the mount's absorption of about 85% of weapon recoil delivers an estimated 95% accuracy rate, as well as the ability to track targets moving 25 mph. Large ammunition boxes enable for sustained firing periods, carrying 96 rounds for the Mk 19, 400 rounds for the M2, 1,000 rounds for the M240B, and 1,600 rounds for the M249. Each CROWS costs $190,000. The first supplier for the CROWS program was Recon Optical (Barrington, IL, USA) with their RAVEN SRWS product. As part of the first CROWS contract, the Recon Optical RAVEN R-400 RWS were fielded in 2004 in Iraq, employed by special forces, military police, infantry and transport units. So far, more than 10000 units have been delivered. After an open solicitation Kongsberg Protech Systems (Kongsberg, Norway and Johnstown, PA, USA) won the CROWS II contract with a variant of their M151 PROTECTOR, which is also used on the Stryker M1126 Infantry Carrier Vehicle. KONGSBERG received a frame-contract of more than 1 billion USD for the delivery of up to 6,500 CROWS systems to the US Army and a first purchase order exceeding 300 million USD As of October 2009, the framework contract has been almost completely converted to fixed contracts. At the very end of 2009 the agreement was extended to include 10,349 systems. The XM153 CROWS II has been delivered in huge quantities and more than a thousand systems are fielded. It has been employed on M1 Abrams main battle tanks, various versions of the Humvee, Buffalo MRVs, RG-31 Nyalas, RG-33s, the Army's M1126 Stryker APC, and was soon integrated into the MATV, JERRV, Caiman, and MaxxPro. 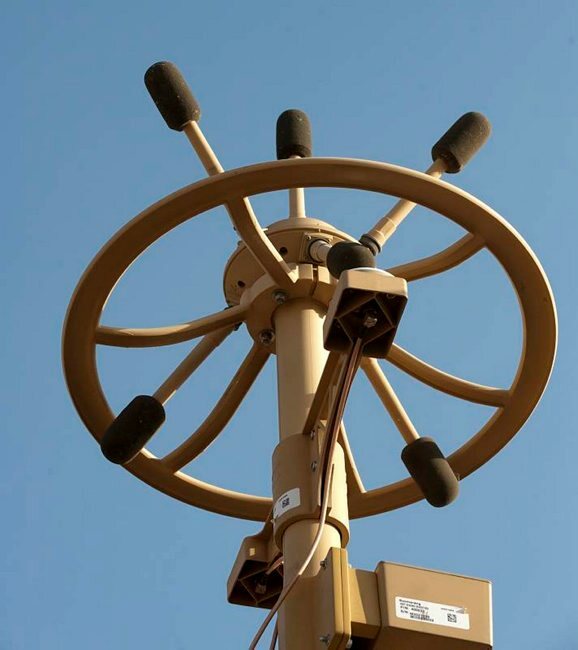 By September 2013, the U.S. Army had over 8,000 CROWS systems in use. The new CROWS III incorporates a laser dazzler to temporarily blind suspicious individuals rather than needing to open fire, additional cameras on the side and rear of the turret to expand situational awareness without rotating the turret, and an infrared laser pointer to paint objects at night. The larger version of CROWS is equipped with an FGM-148 Javelin missile launcher.